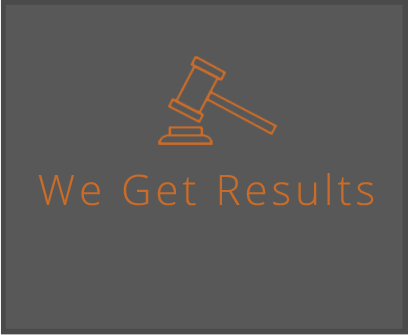 We would like to take a moment to share with you a few of the criminal defense results that we have been able to obtain for our clients in a variety of criminal cases. Again, please note that every arrest and court case is different and our analysis of a case depends on the unique facts involved in the case. No two cases are the same and we cannot guarantee any outcome for you and your case. Likewise, sometimes we are not able to reach a plea agreement with the prosecutor which results in the client being faced with the difficult decision whether to take the case to trial or enter a change of plea to “guilty”. If our client wants to take the case to trial, we work hard and do the best job we can, but taking a case to trial is completely unpredictable. If our client wants to change their plea to “guilty”, then we do our best to mitigate the judge’s sentence. Either way, we will give you our best opinion as to the quality of the evidence, the risks involved and the minimum and maximum penalties. Columbus Ohio – My client was charged with Obstruction of Official Business, Resisting Arrest, Assault, Disorderly Conduct and Public Urination. After extensive investigation, I located video evidence from surveillance cameras of the alleged incident. After reviewing the evidence, the prosecutor agreed to dismiss the majority of charges and my client accepted a plea deal to Disorderly Conduct. My client received a sentence of court costs only. Columbus, Ohio – My client was charged with 2 counts of Domestic Violence and 2 counts of Assault. After numerous failed negotiations with the prosecutor, I was able to secure a plea deal for my client just before a jury was sat for the trial. My client pled to 1 count of Criminal Mischief, a 3rd degree misdemeanor and property offense. I spoke on my client’s behalf at sentencing and the judge ordered a suspended sentence only and placed my client on non-reporting probation. My client avoided jail and avoided being convicted of a “violent crime against persons”. Delaware County, Ohio – My client was indicted on felony theft charges. The government’s evidence included eye witnesses, video evidence and a full confession. However, I entered a plea for my client of Not Guilty By Reason of Insanity and the forensic psychologist testified as to my client’s inability to appreciate the wrongfulness of her actions at that time. At trial, the Judge accepted our expert’s testimony and found my client Not Guilty By Reason of Insanity. Columbus, Ohio – My client was a successful Columbus area restaurant owner and was facing 6 months in jail on white collar criminal charges for failing to file his company’s sales tax returns. Four weeks before trial, my client fired his previous lawyer and hired me instead. During my investigation, I was able to secure evidence that my client’s accountant was actually at fault and provided the prosecutor with recent case law from the Ohio Supreme Court beneficial to my client’s defense. On the day of trial, the prosecutor dismissed all charges against my client. Columbus, Ohio – My client was charged with Aggravated Menacing for allegedly threatening to kill someone. My client proclaimed her innocence and fired her previous attorney. After being retained, I immediately subpoenaed phone records and interviewed witnesses. When confronted with the new evidence from my investigation, the prosecutor dismissed all charges on the day of trial.